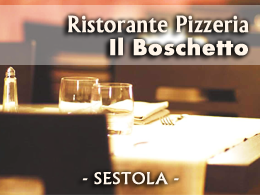 Located 1,020 meters above sea level, in the heart of the Tuscan-Emilian Apennines, Sestola is a small town of about 2,500 inhabitants. It lies within the Frignano Park, a protected area of ​​15 hectares which also embraces the neighboring municipalities of Fanano, Montecreto and Riolunato. The territory of Sestola extends for over 52 km between the valley of the river Panaro and Mt Cimone. It includes the villages of Casine, Castellaro, Poggioraso, Rocchetta Sandri, Roncoscaglia, Vesale, Pian del Falco and Passo del Lupo. Dubbed the "Pearl of the Apennines" was awarded by the Touring Club Orange Flag conferred Iltaliano for the considerable attention that arises in the care of the natural environment and tourist services. 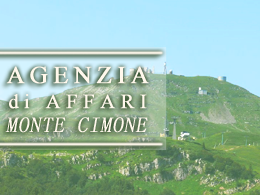 Sestola is in fact the best known of the winter resorts of the Cimone and not lacking in entertainment even in hot weather when you can finally discover the scenic trails through the woods of beech trees and the valleys until then covered with snow. A renovated mediaeval hamlet on the south slope of Mount Cimone, Il Borgo Dei Celti offers mountain-style apartments, a panoramic terrace with BBQ overlooking the Apennines, and free parking.